Everyone’s publishing “decade in review” lists–best movies, best sports plays, most significant news stories, ground-breaking new products, top scandals, etc. How would we recap the decade for the United Brethren church? Here are ten UB highlights of the decade, in roughly chronological order. 2001 General Conference. This was a historic conference. We adopted a true international structure, with 7 autonomous national conferences joined together by the Confession of Faith and an international constitution. Huntington, Ind., stopped being the United Brethren “world” headquarters, and became just the US headquarters. No longer does United Brethrenism revolve around the United States. Colonialism: RIP. Open Theism. A whole lot of turbulence arose around Dr. John Sanders, a professor at Huntington University who was a leading proponent of what is called Open Theism. United Brethren theology clashed, hard, with academic freedom. Both church and college came under criticism from the broader evangelical community. In the end, an exit strategy was worked out for Dr. Sanders, and both church and college began mending the wounds. Joining the Missionary Church. In early 2003, the UB Executive Leadership Team voted to pursue merging our denomination into the Missionary Church, a like-minded, larger denomination based in Fort Wayne, Ind. As leadership pushed this initiative, a group called UB Hope arose to rally people against it. Ultimately, UB members voted it down in a referendum, 56%-44%. This set the stage for lots of soul-searching about why we exist and the adoption of a whole new structure. 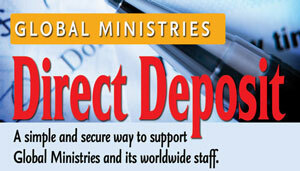 Now, you can use Direct Deposit to support the work of Global Ministries. Donations, including monthly support for individuals, can be transferred automatically from your bank account. No checks to write. No stamps to find, or envelopes to address. You don’t even need to remember that your support is due. It all happens automatically. And it’s very secure. Convenient. Transfers occur automatically. You don’t need to write checks, find the address, locate the previous receipt, fill out the envelope, pay for stamps, etc. Timely. Your gift is transferred at the same time every month. You don’t need to remember to make the gift. Secure. Electronic fund transfers are among the most reliable, accurate, and secure methods of payment. There are no checks or receipts to be lost, stolen, or delayed in the mail. Every check you write contains written information about your bank account. That’s not an issue with electronic transfers. Good stewardship. Global Ministries doesn’t need to spend time opening envelopes and processing gifts. Learn more and sign up from the Global Ministries site. 28 Dec Over 650 Nativity Sets in Rockford, Ill.
Barry Skinner, pastor of Kilburn Avenue UB (Rockford, Ill.), reported concerning their Christmas activities: “Our annual nativity walk went well December 12-13. We had over 650 nativity sets and scenes from around the world. The church gave out cookies, drinks, and candy canes along with a nativity story book and three-dimensional nativity scenes with instructions for assembling them. Pastor Anacleto is both a church planter and artisan. 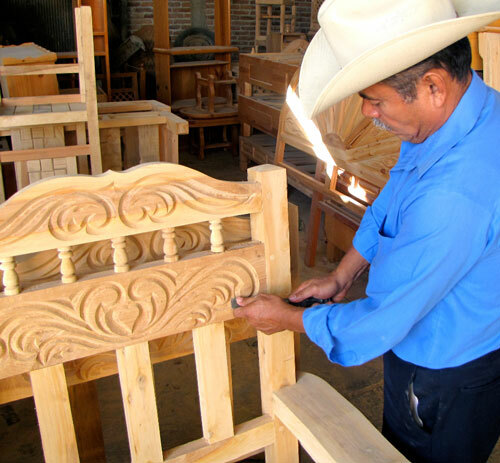 When he is not leading his congregation in Queretaro, Mexico, he is supporting himself and his family by building rustic furniture. I work a little with wood, but have a ton of power tools that make me look pretty good. 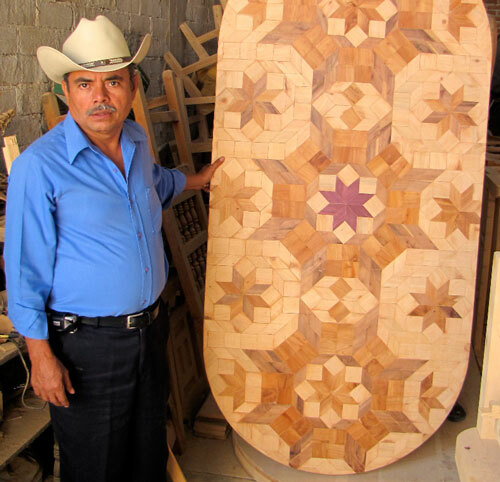 Pastor Anacleto does all of his work by hand, including the carving you see in this photo. He has no power tools. Ruth Ann Price reports that in December, she began a reduced assignment with Wycliffe Bible Translators. She won’t make extended overseas trips anymore. The longest will be 4-6 weeks (which certainly sounds “extended” to most of us). On December 26, she will travel to Asia for four weeks. She’ll spend more time at her home in Huntington, Ind..
She will invest both semesters of the year (rather than just one semester) in her role as Missionary-in-Residence at Huntington University, teaching and mentoring young people who feel called to Christian service. Ruth Ann is an endorsed UB missionary who has spent nearly her entire adult career with Wycliffe. She is also a member of the Global Ministries Leadership Team. A few weeks ago, we reported that Sandy Whipple, wife of Bishop Phil Whipple, was undergoing a heart catheterization. The surgery on November 26 went well. They found no blockage in the heart, which was a relief. The problem involves an irregular heart rhythm, which doctors are regulating with medication. They are doing tests to determine the best medication to use. At one of our church plants. 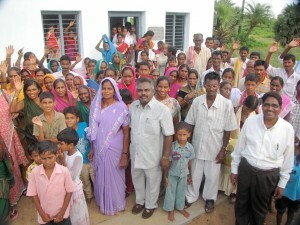 While visiting in India recently, I had the opportunity to visit a number of churches in a tribal region. Each group we visited had been waiting patiently for our arrival. As we approached the first tiny building, I wondered just how many people might be inside. My first clue came when I encountered a huge pile of sandals outside the door. Seems East Indians are not nearly as concerned about personal space as we are in the West. The building was full to overflowing with people sitting on rice bags on the floor. There are currently thirteen such churches, and we have opportunity to plant more in the near future. Tom Mahas, youth pastor at Bethel UB (Elmore, Ohio), was approved for his local church license December 17, 2009. Cluster Leader Brad Kittle, pastor of The ROCK (Findlay, Ohio), will present it to him soon. Tom is the guy who headed up the youth activities at the 2007 and 2009 US National Conferences.